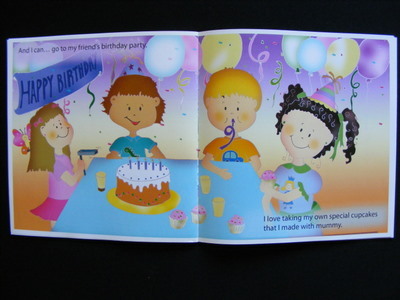 This is a childrens picture book for ages 0-6 that is specifically targeted for children with food allergies and anaphylaxis. 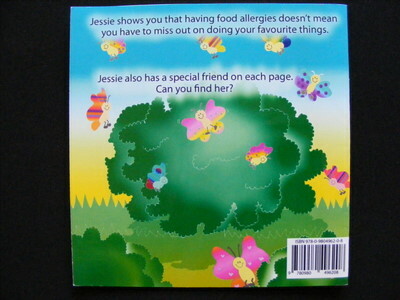 It is full colour real book (not an eBook) and shows your child that you can still do your favourite things even though they have Food Allergies. 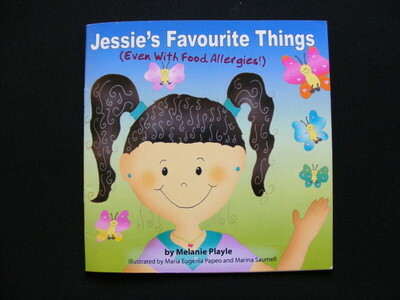 You can purchase Jessie’s Favourite Things for just $19.97 USD (about $24 AUD) and we will include shipping to anywhere in the world for FREE, (even if you live at the North Pole, we’ll send the book to you for that price). Here’s something you don’t usually get with books, a guarantee. We are so confident you will love this book, and the joy of reading this with your child, that we have a 30 day, 100% money back guarantee – no questions asked. If during that time you’re unhappy with the book for any reason, please return it and we’ll give you a full refund. Simply click the “Buy Now” button and you will be directed to our Paypal shopping cart. You can pay via Credit Card (visa, mastercard) you don’t need a Paypal account to buy. 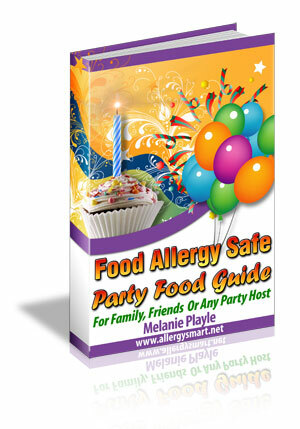 It’s a guide that you can customise to your family’s allergy needs, so that you can give to a party host to make the party a safer environment for your child. We use this document and adjust it all the time, as will you. This is another childrens picture book Melanie has put together, however this is not for sale yet, since the first print run is still at the printers. Will be available late March 2010. And this book will be available via Amazon as well as through our website here.